At Abbotts Roofing, we are able to take care of any roofing requirement, from installing new slate or tiled roofs to chimneys and lead work. With over 30 years of experience, our roofers are confident of their abilities and proud of the level of workmanship they achieve. 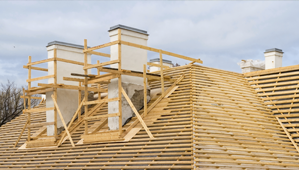 We are able to offer a wide range of roofing services that can be tailored to accommodate both domestic and commercial customers. Below is an overview of the main services we provide. We are also experts when it comes to providing reliable and affordable roof repairs. 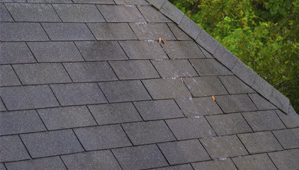 To find out more information on our roof repair service please click here. With all of our services we will always be able to provide free quotes and perform a survey before undertaking any work. The quotes we provide are based on very competitive prices so you can be sure that with us, you will receive a great value for money service. If you would like to discuss your roofing requirements with one of our experts, then please contact us today. We will be happy to help you in any way we can.